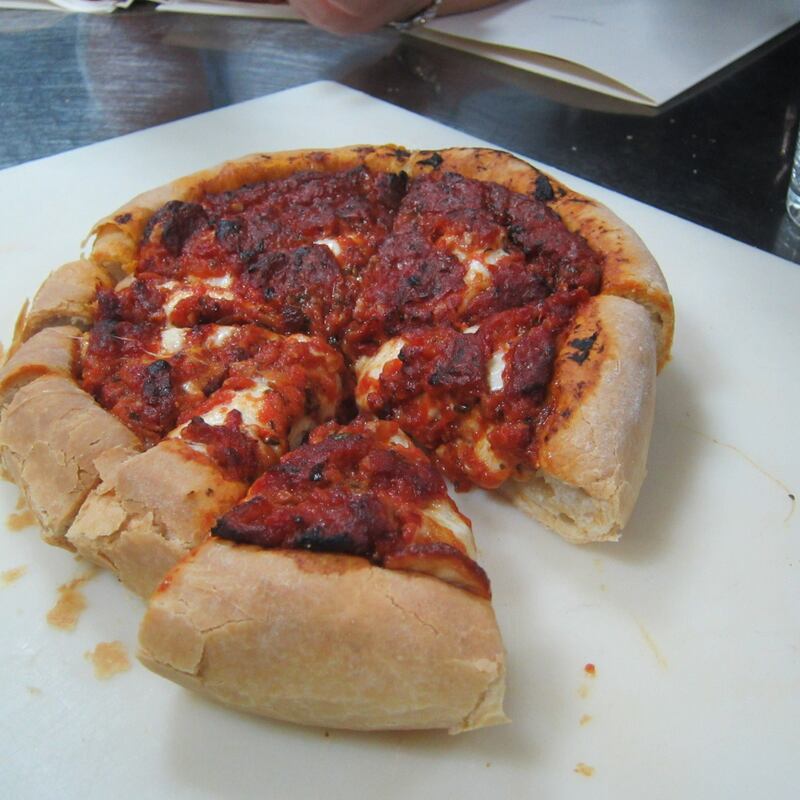 The “Celebrate Chicago” runs from Monday, November 2 until November 25. 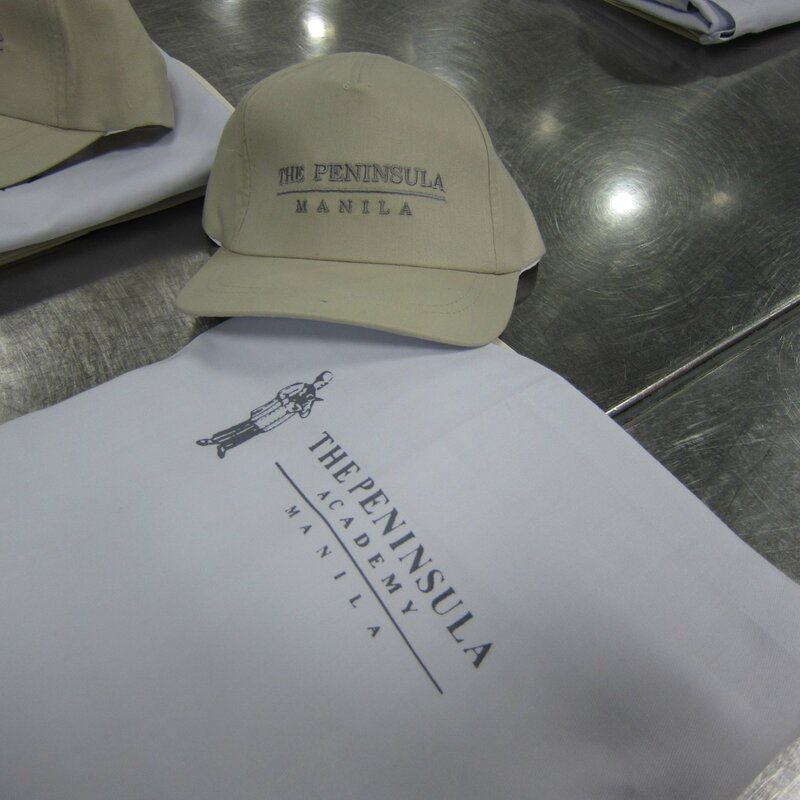 This exciting showcase in Manila and at each Peninsula Hotel will present guests with carefully curated family experiences from a city whose history and culture are shaped by its mid-point location between East and West Coasts. 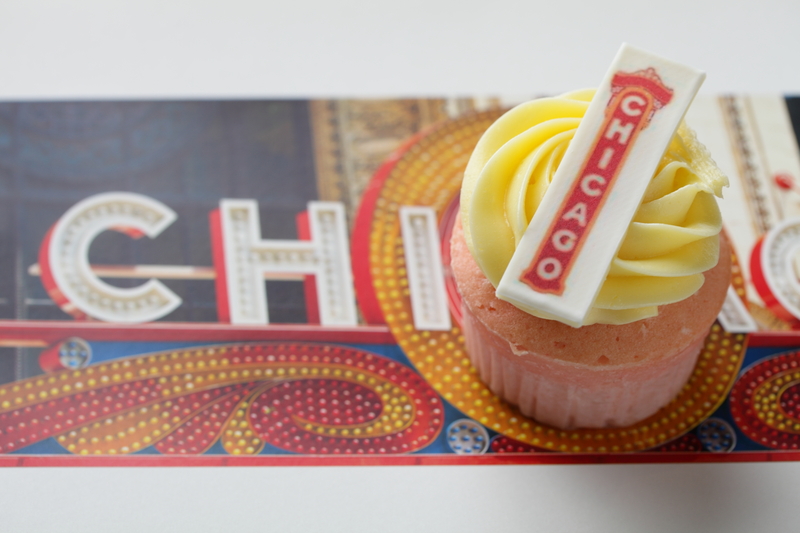 Guests will enjoy decorations inspired by Chicago’s photogenic landscape, menus created by The Peninsula’s expert chefs featuring favorite Chicagoan dishes, desserts, and Prohibition-era cocktails. 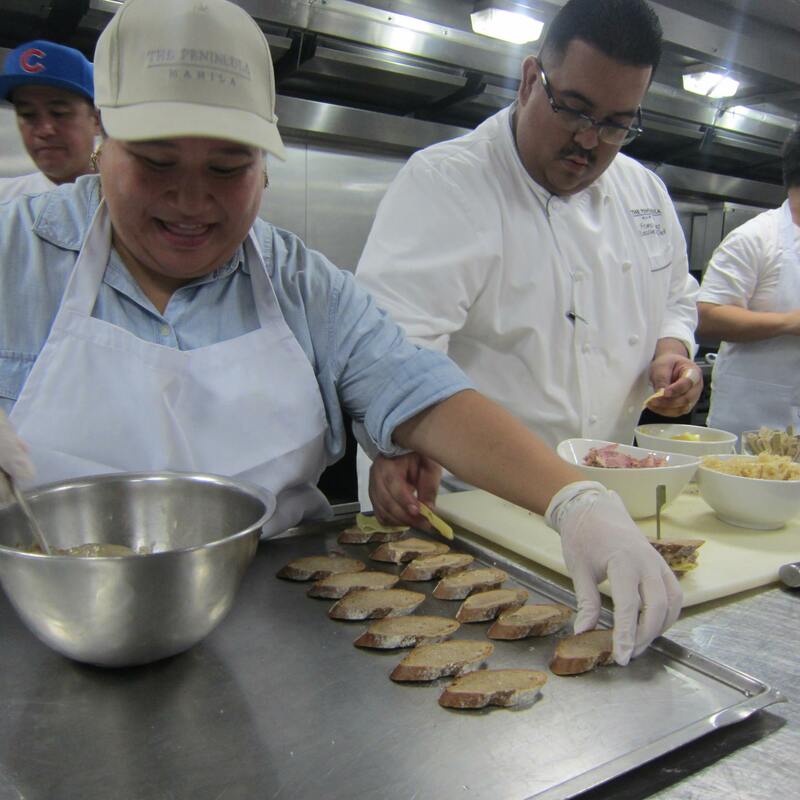 “Celebrate Chicago” season kicks-off with a Cooking Class, headed by The Peninsula Manila’s Executive Sous Chef Franco Diaz who is a Chicago native himself. 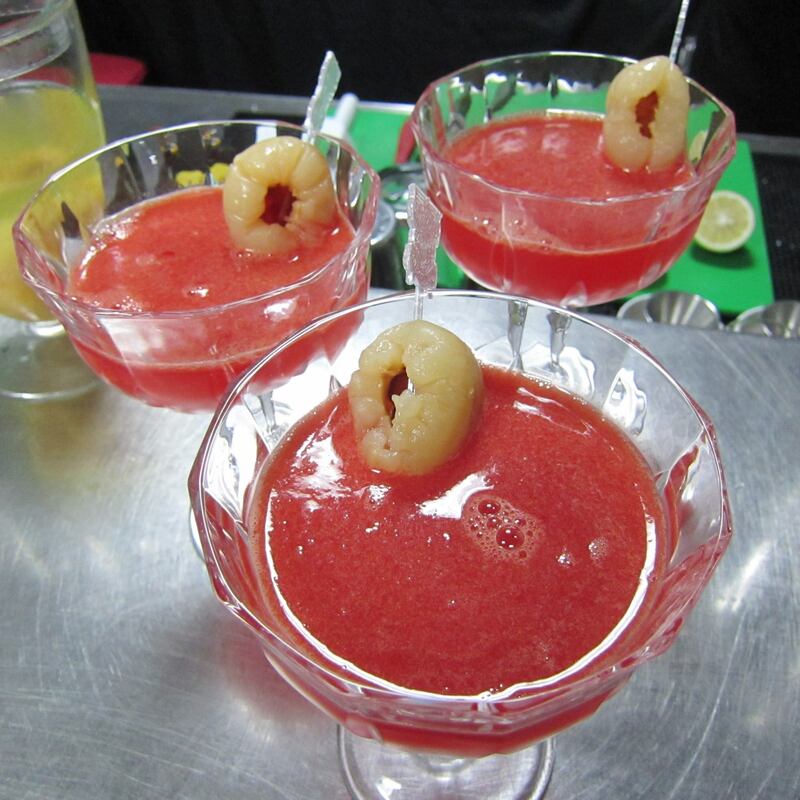 We were treated to dishes and drinks that the hotel will serve in its various outlets. 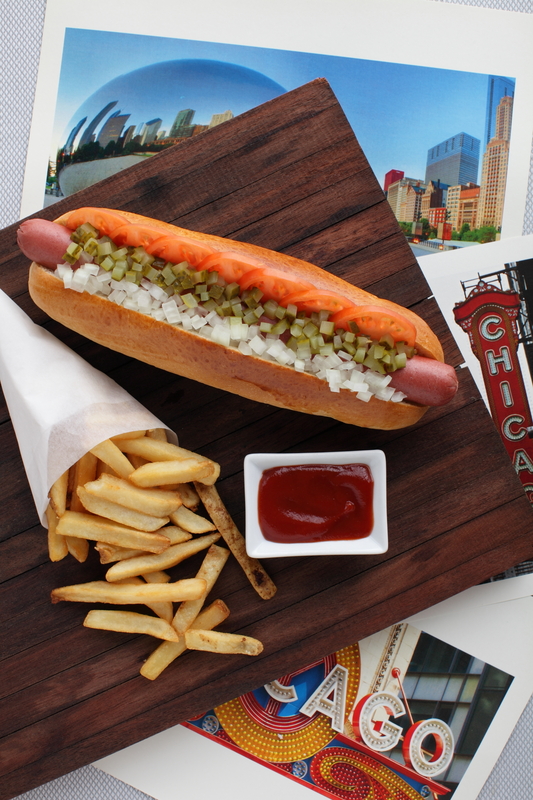 The Lobby will be serving up Chicago Hot Dog, Duck Hot Dog, Reuben Marble Rye Sandwich with Sauerkraut, Chicken Pot Pie, and Salted Caramel Sundae. 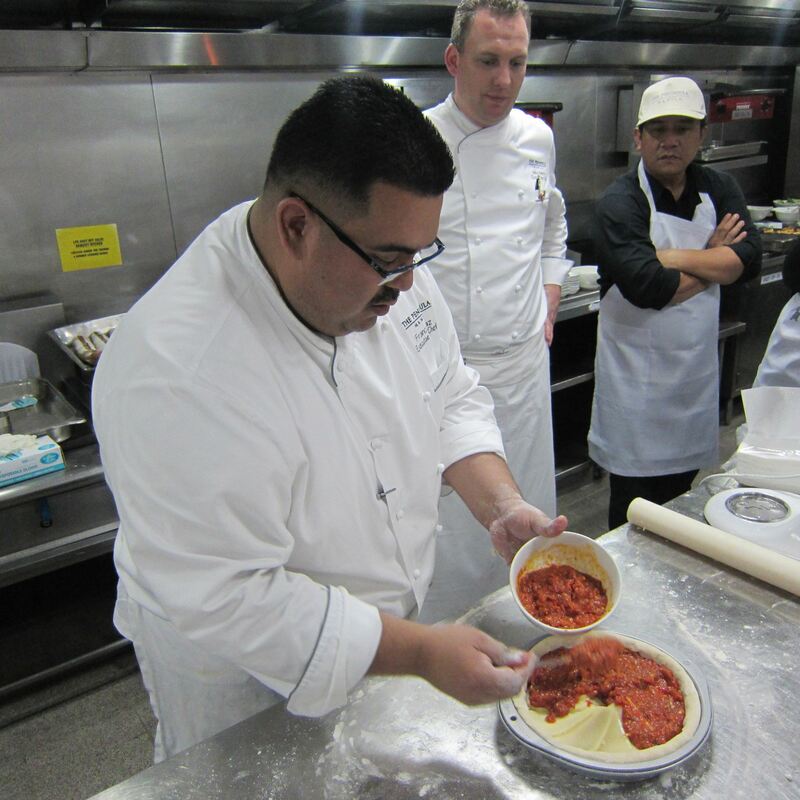 During the Cooking Class, we were able to make some of the dishes, which made the experience more memorable to everyone who attended. 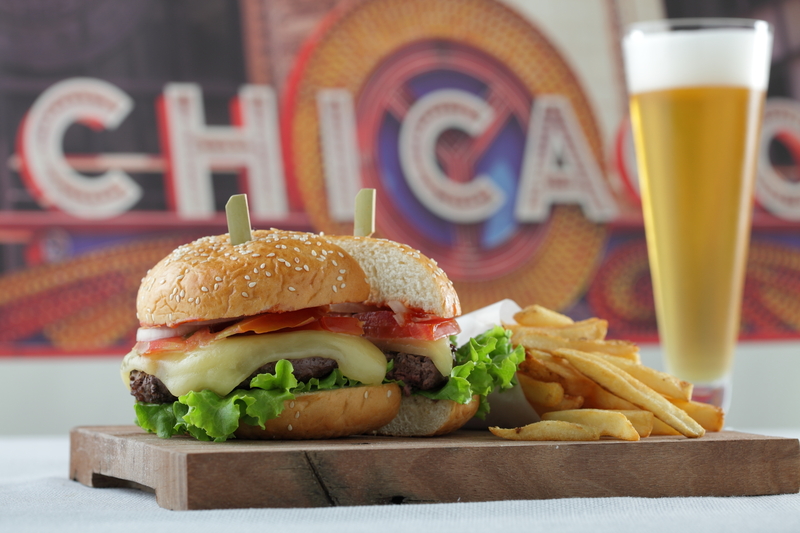 Escolta‘s buffet selections will have selected Chicago favorites like a Chicago Burger station. 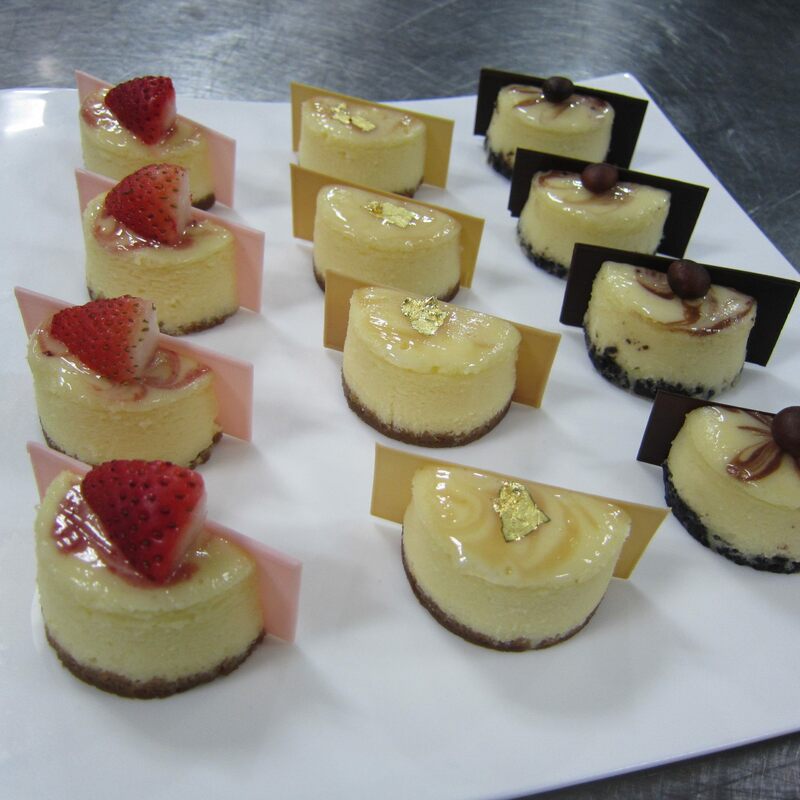 The Peninsula Boutique is featuring “Eli” Chocolate, Peanut Butter, and Strawberry cheesecakes plus assorted Cupcakes. 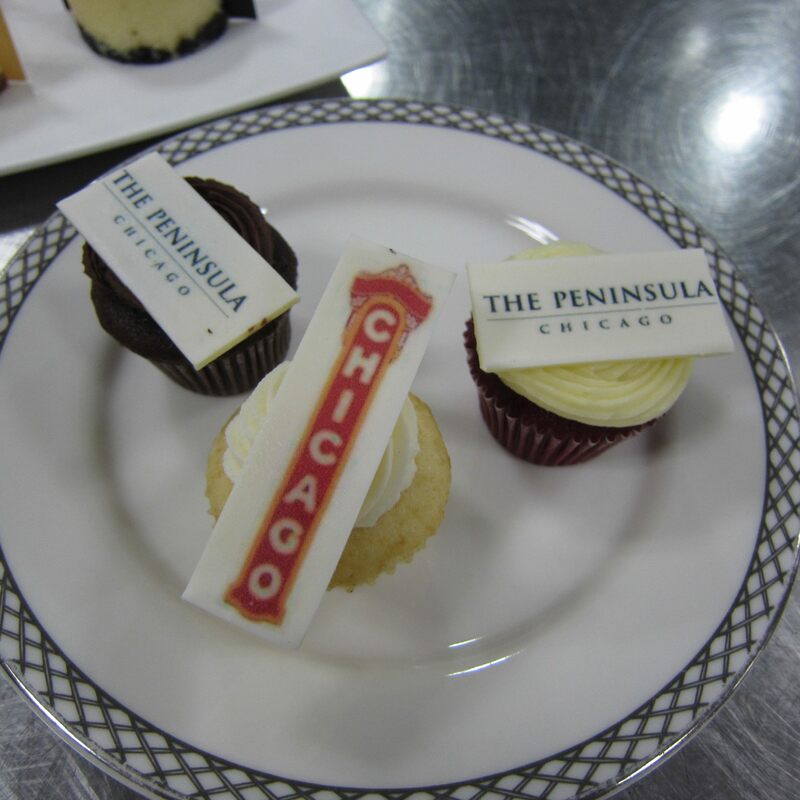 Chicago was home to infamous gangster and prohibition-dodger Al Capone, The Peninsula Manila is bringing back the 1920’s by serving themed cocktails in Salon de Ning and The Bar referencing the “Speak Easy” culture. 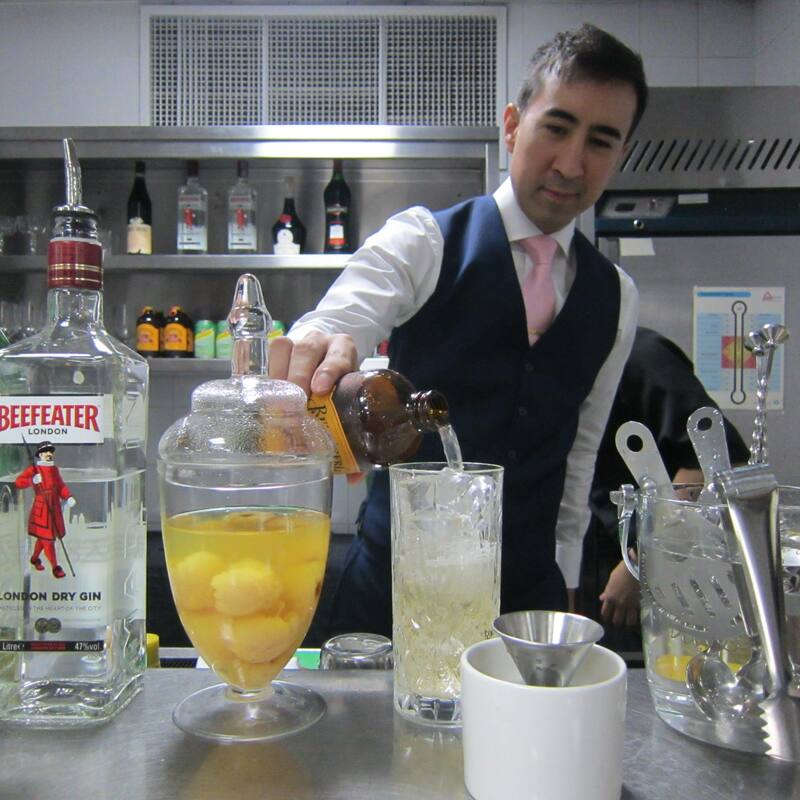 Class favorite, Monkey Gland, is designed to give men a little extra “vavoom”. The story behind this classic drink is a little grotesque, but let me assure you that the drink is something you should not miss.